Crossed Industries selection of rear bumpers will never leave you thinking you left something behind. These rear bumpers will enhance your truck or jeeps overall appeal and purpose. Each of these rear bumpers is crafted only from the toughest of materials. From black to chrome rear step or tube bumpers we’ve got the selection your rig needs for a sleek and rugged finish your gonna love! Crossed Industries Heavy duty custom bumpers provide sleek style and unprecedented safety. Bumpers are your vehicles first line of defense. Protecting the front and rear of the vehicle from minor impact that comes you’re way. There are many different designs of bumpers available based upon your vehicle’s make, model, and year. 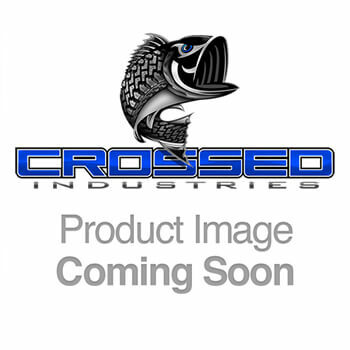 Crossed Industries has an amazing selection of bumpers from brands like Addictive Desert Designs, Iron Cross Automotive, N-Fab, ReadyLIFT, and WARN. These bumpers are all designed to custom fit your specific truck so you won’t need to worry about anything but selecting the best look for your ride!